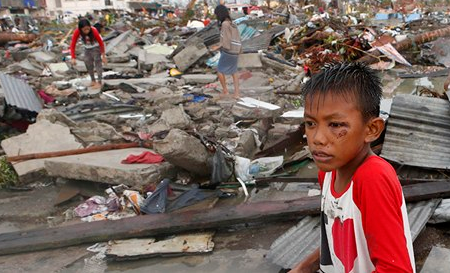 Over the weekend Typhoon Haiyan hit the Philippines leaving a trail of untold destruction. Around 1,700 to 2,500 people are feared to be dead due to the category 5 storm which was the largest ever to make landfall and approximately 600,000 people are now homeless. The relief efforts in the Philippines need donations to help with the sick, homeless and clear up efforts, any amount you give no matter how small can make a difference.